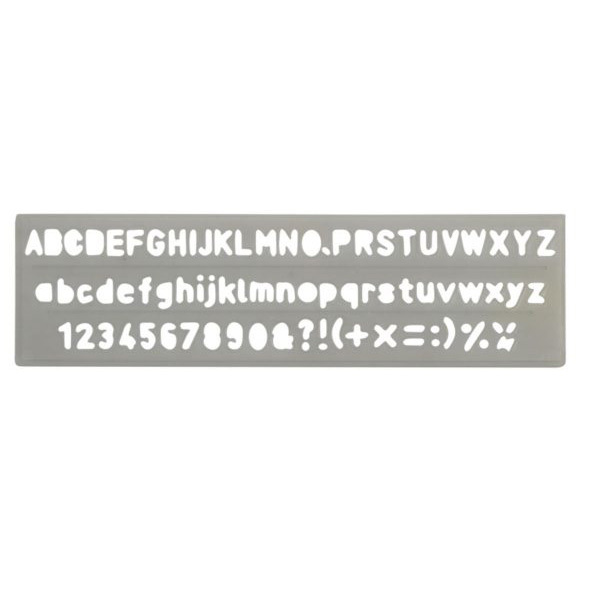 Rotring Lettering Stencils are made of high-quality plastic and are especially resistant to warping and breakage. 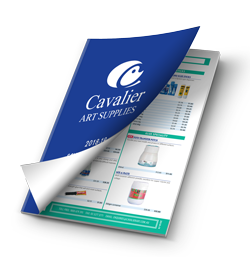 The clear, yellow-tinted material provides for high contrast so that even the finest lines are clearly visible. 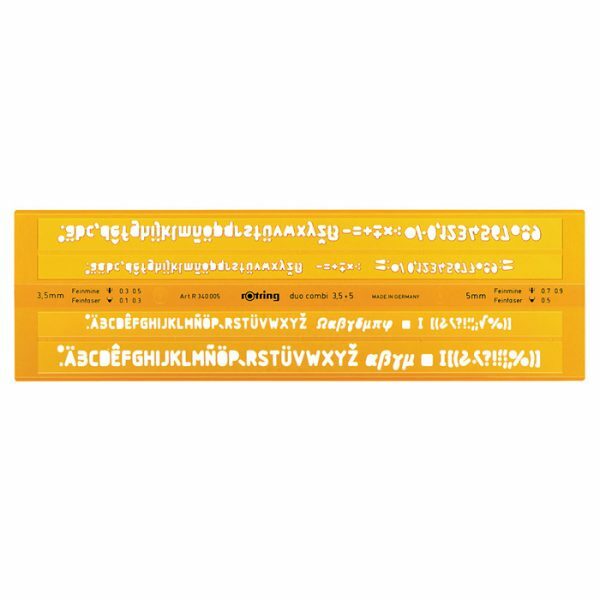 All edges are highly precise.The Rotring Lettering Stencils are stamped with markings to show the line width and character height to ensure that the right pen and the right stencil are used together for true-to-standards lettering. 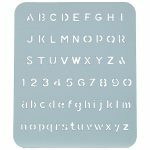 The Rotring Double H Lettering Stencils are stamped with markings to show the line width and character height to ensure that the right pen and the right stencil are used together for true-to-standards lettering. 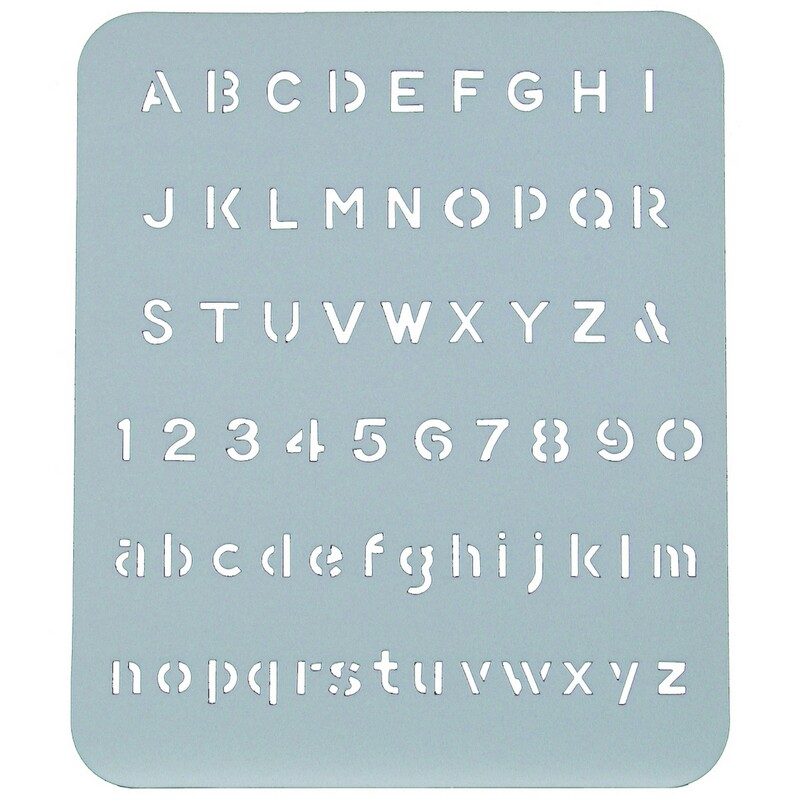 Double H Lettering Stencils available in 5mm (not shown) and 7mm (2nd image). 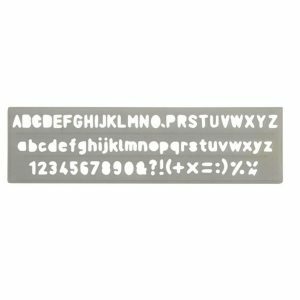 Celco Lettering Stencils are an inexpensive stencil to use with markers, pencils or pens. Trace out letters and numbers 1 to 10. Made from strong light weight plastic. 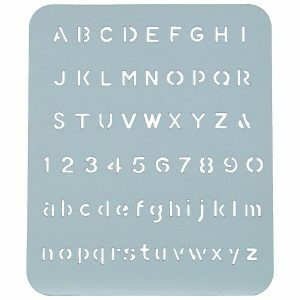 Large light weight plastic stencil sheets with letters and numerals. Uppercase and lower case and numbers 1 to 10. 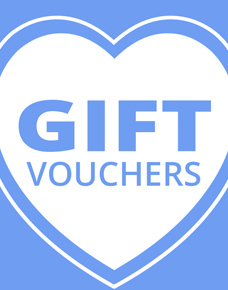 Suitable for spray painting, stencilling etc. when you need large letters and numbers. Available in sizes 13mm, 19mm, 25mm, 40mm, 51mm, 75mm. images start at 13mm and descend to 75mm.